Shimla-The queen of hills, is the capital city of Indian state Himachal Pradesh. The city was once the summer capital of the British. Surrounded by snow capped Shivalik Mountains and lush green forests, the place offer some of the most stunning views of Himalayan mountain range. And for this reason, from ages, it is one of the most favourite tourist destinations of India. Shimla can be reached from Chandigarh by road or by train. The distance of Shimla from Chandigarh is 113 km. By road it takes almost three and half to 4 hours to reach Shimla from Chandigarhvia NH5. Cab fare is around INR 2000. You may also avail the narrow gauge tiny toy train from Kalka to reach Shimla. The train takes around 5-6 hours to reach Shimla from Kalka. The 96 km long route is dotted with 103 tunnels. The route is now an UNESCO world heritage train route famous for pine covered hills, flora and fauna. 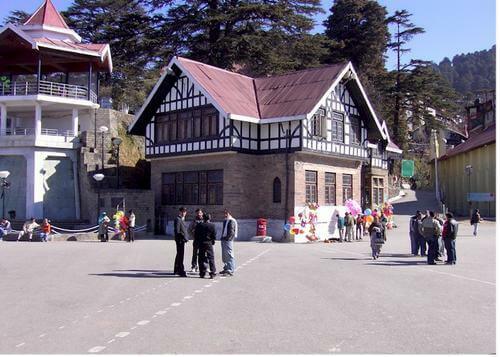 Located on the Mall road, at the heart of Shimla, Ridge is the most popular tourist spot of Shimla. People enjoyed the stretch here and come to enjoy the stunning views of surrounding areas. The Christ church in Shimla is the second oldest church in northern India and is a site architectural beauty. At night, the church glows when it is lighted up and looks like a magnificent castle. The Himachal State Museum is located on the Mall Road and has unique collections like ancient coins, paintings and other handicraft items influenced by the Pahari form of art. Kalibari Temple is an ancient place of worship dedicated to Goddess Kali. It was built in 1845 and is considered one of the most religious places of our country. A beautiful destination houses many rare species of Himalayan Birds. In the evening, walk around the Mall road and enjoy shopping. While in Shimla, people used to search delicious Himachali food. 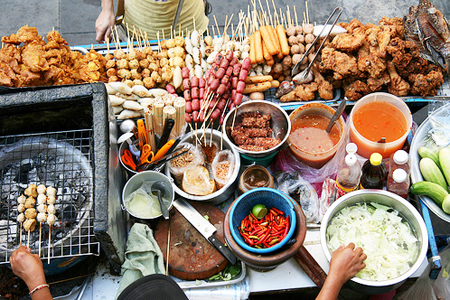 Here are some food stalls and restaurants which you might check out during your tour. Established in 1948, this is the first chat stall of Shimla. 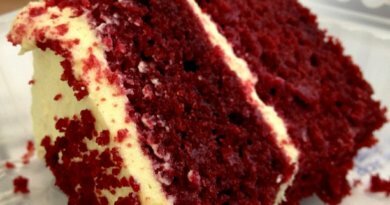 Enjoy the tangy delicious fruit chats here. It is the oldest tea stall of Shimla. Must taste the butter bun and special tea here. The stall is open from 7 am in the morning till 10 pm at night. It is the best Chana Batura stall in Shimla. The place is in function from morning 8 to evening 8. On day 2 go to visit Kufri. Kufri is 9 km away from the main town. The place is popular for its scenic beauty and beautiful landscapes. One must visit spot in Kufri is the zoological park which is famous for having rare species of Antelopes, Felines, Bears and birds including Himalayan Monal, which is the state bird of Himachal Pradesh. Mashru peak is the highest point here and one can reach by trekking up to that point. Another popular activity here is skiing. Enjoy skiing for adventure and fun. On 3rd day of your trip go to Kullu Valley. Kullu is 208 km away from Shimla and it takes 5-6 hours to reach Kullu from Shimla. Local cab fare is around INR 3000 per day. Bijli Mahadev Temple in Kullu is famous for its serenity and scenic beauty. It is located at a height of 2460 m above the sea level. This temple is a “Kash” style temple in which Lord Shiva is worshipped. Hot springs at Manikaran is one of the sacred and best places to visit in Kullu. It is located in the bank of Parvati River. The place is 35 km away from Kullu and 4 km away from Kasol. Established in the year 1984, it is one of the biggest national parks located very close to Kullu. It is an UNESCO World Heritage Site and covers a total area of 1171 square kilometres. You can enjoy all kinds of trekking experience here. The mountain trails offer all types of difficulties for amateur, average and experienced trekkers. Vaishno Devi Temple in Kullu is another sacred place in Himachal Pradesh. The surrounding of the temple is covered with mountains and scenic locations. On 4th day morning, go to Manali from Kullu valley. The distance of Manali from Kullu is approximately 40Km. It will take nearly 1 and half hour to reach Manali from Kullu. This beautiful temple, said to be dedicated to Hadimba – the wife of Pandu son Bhima and is the best place to visit in Manali. The most striking feature of this temple is that it is located in the Dhungri Forest and is surrounded by pine trees. Near Hadimba Temple, the Museum of Himachal Culture & Folk Art is another great place to check in. It houses unique collection of unknown antiques including religious relics, household objects, weapons, instruments, and scale models, among many other things. The famous Tibetan monasteries – Himalayan Nyingmapa Gompa and Gadhan Thekchhokling Gompa – draw a large number of tourists, and are among the most visited places in Manali. Nearly 3 km away from the famous Mall Road of Manali, the famous Manu Temple is among the frequently visited tourist places in Manali. It is dedicated to Lord Manu. The Club House is also one of the tourist places in Manali for adventure activities and indoor games. On 5th Day go to visit Solang Valley and Rohtang Pass. Rohtang Pass is 51 Km away from Manali. Situated at an altitude of 3978 meters, the place is famous for its scenic beauty. Located at a distance of 13 kms from Manali, Solang Valley lies between Solang village and Beas Kund. It offers a beautiful view of glaciers and snow capped mountains. Since the valley has fine ski slopes, it is a perfect place for skiing. Other than Skiing, adventure sports like Parachuting, paragliding, horse riding and driving mini open jeeps are also available in Solang. On day 6 returns back to Delhi or Chandigarh for departure. There are numerous Hotels available in Shimla Kullu and Manali, all of different tariffs ranging from a luxury one to budget hotels. Room charges vary from Rs. 1500 to Rs 5500. The total package for a couple will cost Rs 40,000 for this trip.